At the start of Advent 2017, Bishop Peter launched a Year of Prayer and Vocation, hoping to make us aware of our vocation as disciples of Jesus and to deepen our friendship with Him. 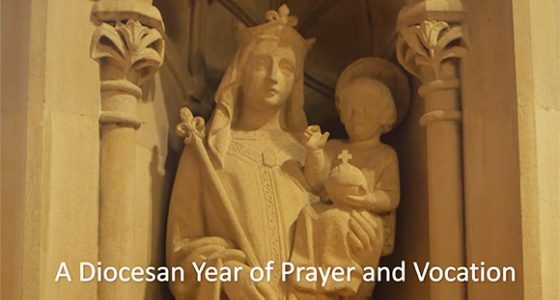 During this year we are invited, as a diocese to renew our commitment to personal prayer. As we set out together let us ask God for the grace each day to hear and follow his call. for all the benefits which you have given us.